Dancing With the Stars pros Maksim Chmerkovskiy and Peta Murgatroyd rang in the new year with their adorable baby Shai. Mob Wives alum Drita D’Avanzo spent some quality time with her two daughters. A pregnant Meghan Edmonds had a family-filled night with her daughter Aspen and her step children. Danielle Staub rung in the new year with her daughters Jillian Staub and Christine Staub. Brandi Redmond and her husband Bryan Redmond hung out with their two daughters. Real Housewives of New Jersey alum Kathy Wakile spent the evening with her husband Richie Wakile. Siggy Flicker and her husband were back at their home away from home: Boca Raton. Stassi Schroeder continued to be Katie Maloney and Tom Schwartz’s favorite third wheel during a trip to Palms Springs, California. Dorinda Medley rocked a wig and “channeled” to channel her inner Caroline Stanbury. 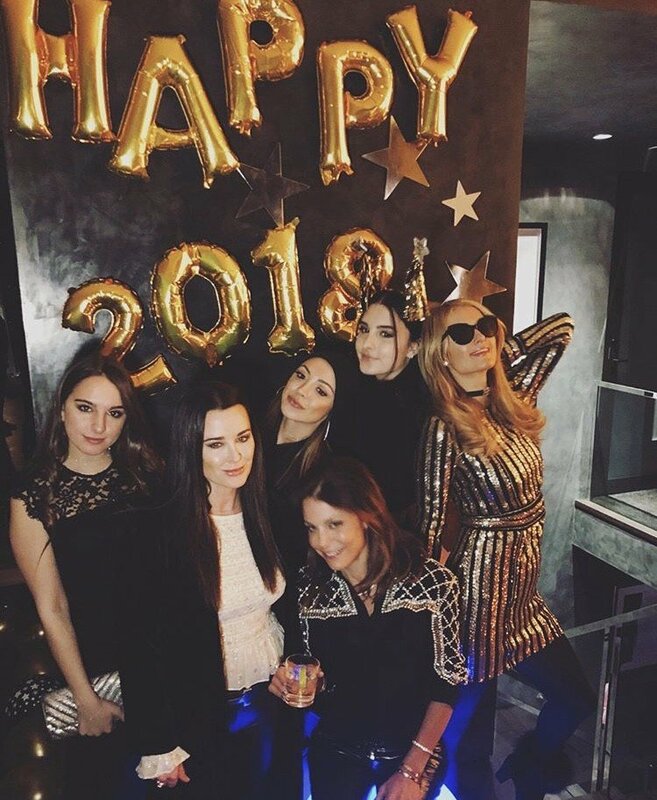 Bethenny Frankel and her longtime friend Kyle Richards celebrated together in Aspen, Colorado along with Kyle’s niece Paris Hilton. Tamra Judge and her Real Housewives of Orange County costar Shannon Beador started 2018 together. Check out all of those photos and more in the New Year’s Eve photo gallery below. Shannon Beador At The Cotton Bowl With Her Daughters- Photos!